The week before school started, our teachers attended a workshop entitled “The Environment as the Third Teacher.” (In case you’re wondering, the other two teachers are first and foremost the child’s parent and later on their classroom teacher.) 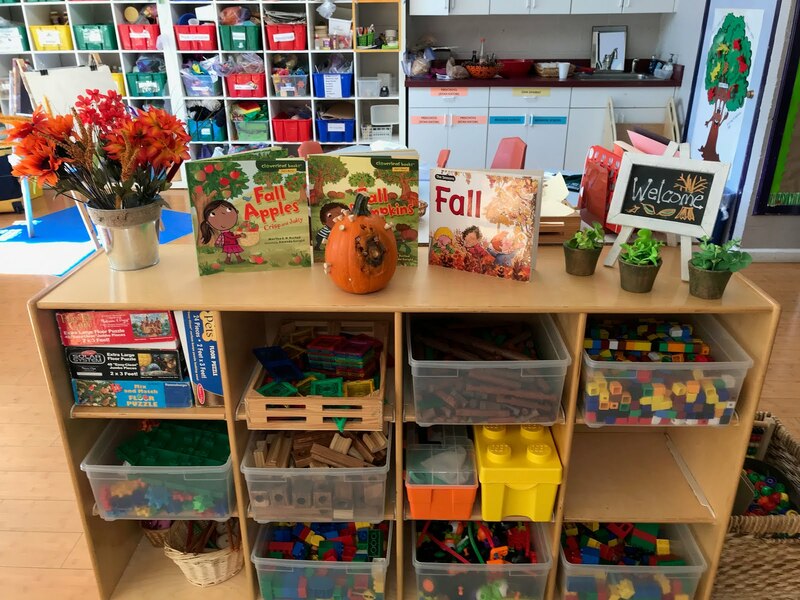 By seriously considering the space in which children learn, and the materials that are available to them, classroom teachers demonstrate respect for children. 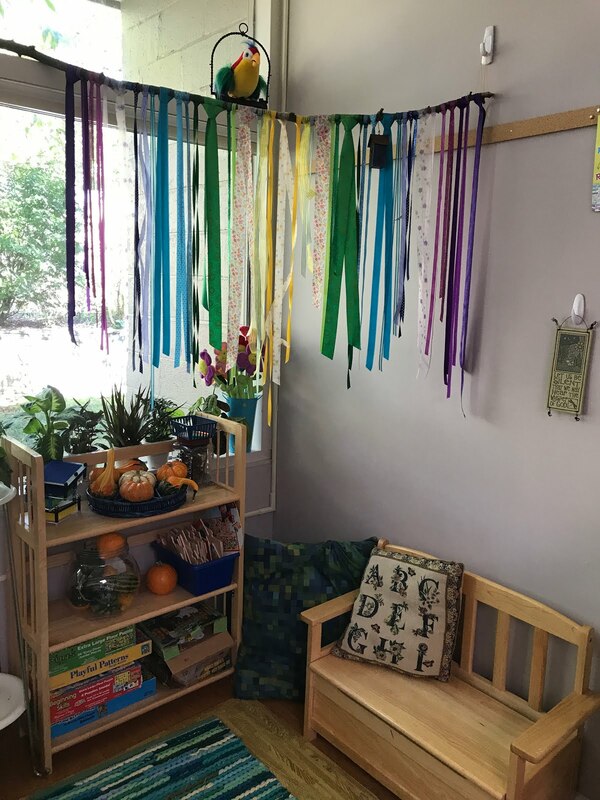 The right kind of classroom environment creates a sense of safety and warmth; it invigorates children and leads to excitement and joy, discovery and collaboration. The wrong kind of environment stifles and distracts from real learning. When classroom environments are constructed thoughtfully, teachers also begin to view their role differently. They come to regard themselves less as conveyors of information and more as facilitators of learning. Preschool classrooms can and should be beautiful. They should be warm and welcoming and aesthetically pleasing. They should look more like a home and less like an elementary school. Rooms that are cluttered are distracting; rooms that are splashed with nothing but primary colors are overwhelming. Natural light (which we thankfully have in abundance! ), houseplants, neutral colors, well-organized spaces, and a variety of materials discourage chaos and invite reflection and creativity. Even the placement of classroom supplies is worth careful consideration. 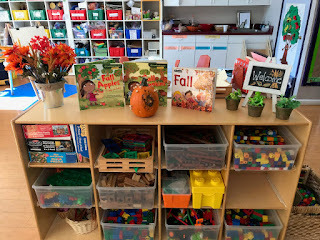 When a teacher places art materials on a high shelf, they are sending a message: the children in this classroom aren’t trusted to use glue and scissors on their own. They must first ask for permission to create. The teacher is completely in control. When those same materials are kept at the child’s level, the children know they are trusted. They understand that they can draw and paint and cut and glue when they want to. They learn how to use the materials safely, and they learn how to be responsible by putting the supplies away when they are finished. They are given the opportunity to demonstrate that they are capable and competent. When teachers take advantage of their environment, real learning happens. Rather than deciding months in advance that a unit on hibernation is called for when it’s wintertime, taking advantage of a squirrel sighting on the playground can lead to an investigation. The children spot the squirrel burying an acorn and ask questions. Rather than give them information, the teacher wonders how to find the answers to the questions. That leads to a trip to the class library. Soon the children are spotting squirrels everywhere, counting them, wondering if it’s the same squirrel or many squirrels. They’ve become acute observers. The teacher provides them with clipboards and paper and writing materials to draw what they see. Now they’ve become scientists. One thing leads to another – every decision the teacher makes to further the learning creates deeper meaning and understanding for the children. And the children are learning much more than just facts; they’re learning how to learn. This can only happen when the teacher understands and respects the possibilities that the environment provides. 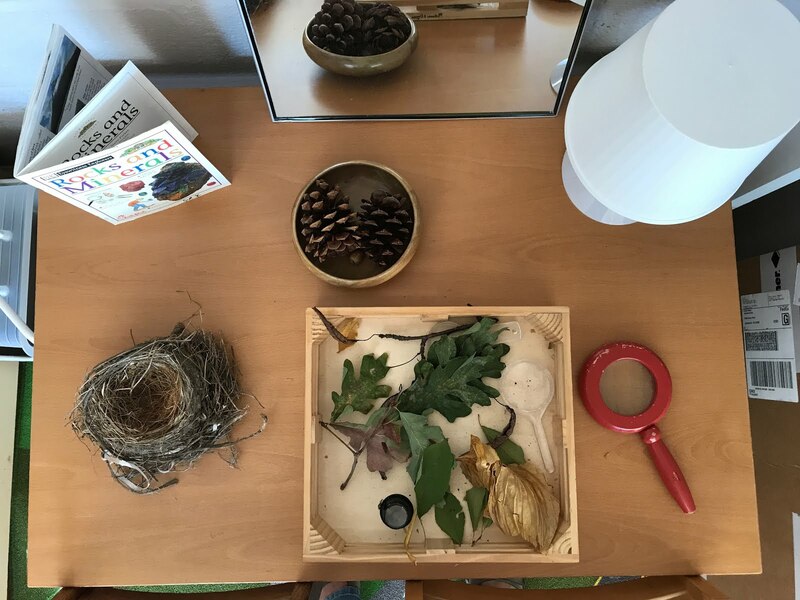 This year in the preschool we’re focusing on our environment, on making it more beautiful and accessible, and learning how to take better advantage of it. One small step in that direction was to paint all the classroom doors white over the summer. The hallway looks so much brighter and fresher; thank you again to all the parents, grandparents, alumni, friends, and spouses who volunteered. We’ve also begun purging some of the clutter that’s accumulated over the years to make room for more creative and open-ended toys and materials. Teachers are also rethinking their classroom spaces and finding ways to use them differently. Finally, teachers are always encouraged to take advantage of learning opportunities that present themselves, even if that means ditching a planned activity. 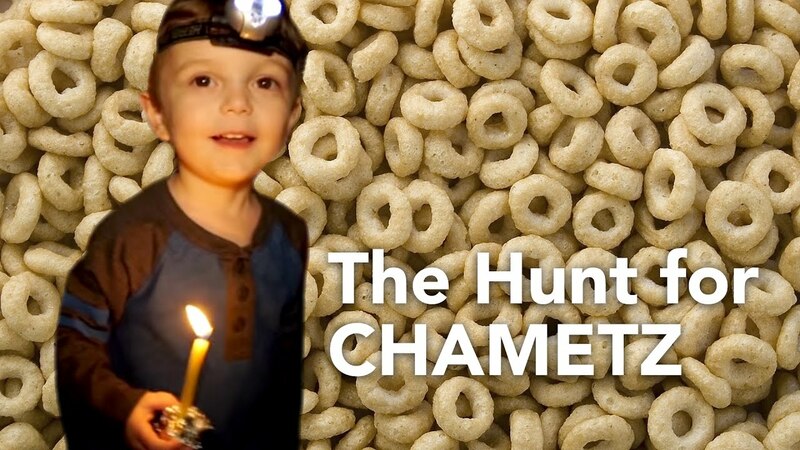 Children will learn the skills they need to learn regardless of the content, and if they are invested in the content, they’ll learn and retain the skills better. I’m looking forward to an exciting year full of new possibilities!